Antibiotic resistance and our consequent inability to treat many bacterial infections had fuelled an urgent need to understand the means by which bacteria cause disease. This has lead to a renaissance in research into bacterial disease mechanisms and the birth of a new discipline - cellular microbiology. 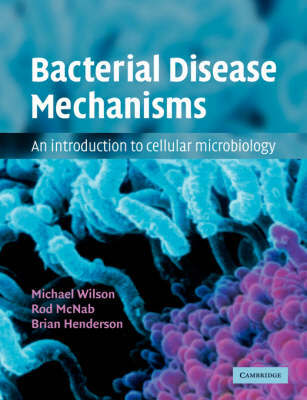 The fruits of such research and how they have lead to an alternative perspective on bacteria-host interactions are described in this introductory textbook. The central premise is that bacteria have evolved means of manipulating normal host cell functions and overcoming host defence systems to ensure their survival. As well as offering an interesting perspective on the classical bacterial virulence mechanisms, this book outlines the molecular techniques developed to unravel the complexity of bacteria-host interactions. Research may lead not only to a better understanding of disease mechanisms, but also to alternative means of preventing and/or treating bacterial infections.